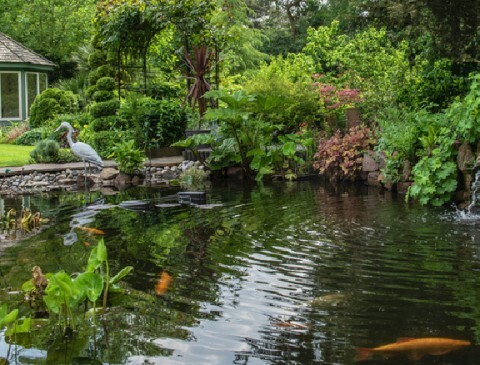 Caldy Village will welcome visitors to stroll around our private gardens - all different sizes and styles - from pretty cottage gardens, to mature gardens packed with plants, to a coastal garden and the latest 21st century, minimalist garden, to inspire and entertain you. Tea and cake are back by popular demand, but not the waitress service. There will also be tea and coffee-to-go, barbecue sausages, and other delicious treats. All proceeds will go to Hoylake Cottage Dementia Day Care Centre. There will be plant sales at some gardens plus a large, central plant stall. £7.50 on the day or £6.00 in advance, accompanied under 16s free. Caldy is just off the A540 Chester to Hoylake road. There will be signs around the village on the day displaying the best areas to park and where to acquire tickets.